The following is a list of (30) assorted author tips, insider info, fun facts, motivational moments and words of wisdom we’ve tweeted in the last month. Any one of these could have been just the tool you needed to turbocharge your article marketing efforts. 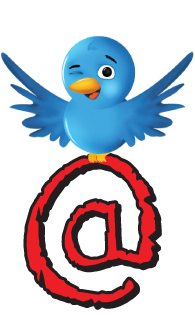 Just CLICK on any of the “ReTweet This” links to auto-populate your Twitter status field. Then just edit for length and retweet to your heart’s content! 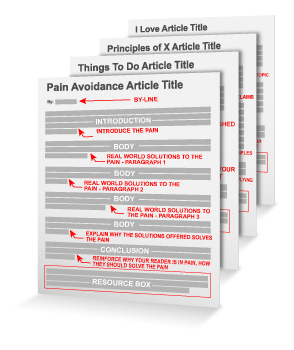 Use these tips to help you focus and turn more of those article ideas into actual articles! Distractions are a part of life. Often, they can be a good thing. We need a distraction or two in an otherwise busy day. Without distractions, work would be well … just work. On the other hand, distractions that get in the way of your article writing productivity are just plain … distracting. Declutter your Desk – Stuff is distracting. Even if it’s just sitting there. It’s still distracting you. Pictures, clippings from magazines, bobblehead dolls – all of it. Lose it. Papers on your desk? Go through them and file them. Work in an uncluttered space and you’ll find your head is clear enough to focus too. Be Comfortable – We’ve all been there. The chair is to high – or low. The room is too warm – or cold. Your sweater is too itchy. The coffee is bitter. Chill out! Get comfortable. Even if it takes a few extra minutes. If you work from home – try sitting on the couch and putting your feet up. You’ll be able to focus on your writing if you don’t have hunger pangs constantly distracting you. Be Alone – Sometimes it’s just too much to have other people around. Take your laptop or your pen and paper and go somewhere alone. Turn Off Notifications – If your Twitter notification keeps popping up – or your wife keeps IM’ing you about tonight’s activities – how do you expect to be able to focus on what’s in front of you? You can’t! Turn off the notification settings on these programs so they aren’t constantly dinging and beeping at you! Use a Text Editor – Word processing programs have lots of great features – spell checks, grammar checks, insert a picture feature – you name it. But if we start to worry about what the copy is going to look like before it ever gets written, well, then we probably won’t get anything written at all. Open up a plain text editor on your computer like notepad – or go get something like Editplus – and just type … in whatever font appears first (unless it’s Wingdings. Don’t type in Wingdings). Use a Piece of Paper. – You just can’t do it. You just can’t stop Tweeting, IM’ing and reading about Jon and Kate + 8 on the darn computer. Your mother keeps Facebooking you status reports about her tuna casserole. Fine. Turn it off. Get away from your computer or get it away from you – and go get an old-fashioned piece of paper and pen. Now … write. Wear Headphones – Put on some music and some headphones and block out the rest of the world. You’ll find that the music soon fades to the background and all you hear are the words that you’re writing in your head. Go Somewhere Else– Do you just find your home or office too distracting to write? Take a couple of hours and go to the public library or a local cafe (it doesn’t have to have Internet – remember?). It may be a little noisier, but it won’t be noise that pertains to you, so you’ll have an easier time blocking it out. Our Member Support Team and Editorial Staff offer their suggestions for improving your EzineArticles experience. We recently asked some of our front line team members this question: “If you could tell every EzineArticles member just 1 thing, what would it be?” Their answers ranged from the slightly obvious to the truly unexpected, but all are loaded with the wisdom of the people who work hand-in-hand with our members every day. Please review ALL of the Editorial Guidelines prior to submission, not just the first 2. Have somebody proofread your article … especially if you are not a native English speaker. If your article cannot get past the submit form’s auto-checking features, then we can’t push it through for you. The new submit form is designed to catch errors before you submit your article. Author Names must be just that, names. Not places, companies, things, or any other wacky words the author can think of. Do not create multiple accounts! 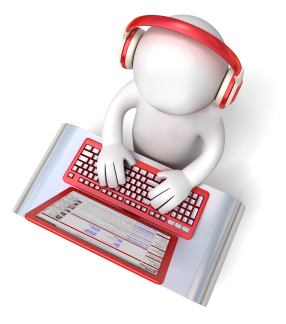 Often members will create another account rather than simply contacting us to fix a problem. Then they wonder why they are getting flagged for duplicate content. Your author photo is designed to help you promote your author brand and create credibility for you. So please don’t upload a photo of a cartoon, your cat, or a random body part. Keep material original. Don’t re-write the same basic content into multiple articles. 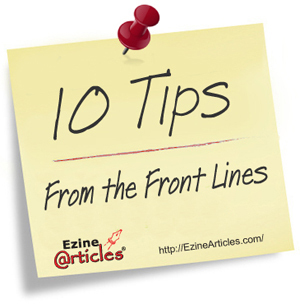 Ensure your EzineArticles author name matches the author name on articles posted on other sites. An author name mismatch will flag the article for ripped or suspect content. Product reviews should be unbiased and not have an overly negative or promotional feel. I’m sure most of our members found at least one or two tips they hadn’t heard before. However, if you’re one of those article marketing veterans who knew all of these, tell the rest of us by adding a tip or two of your own to the list!